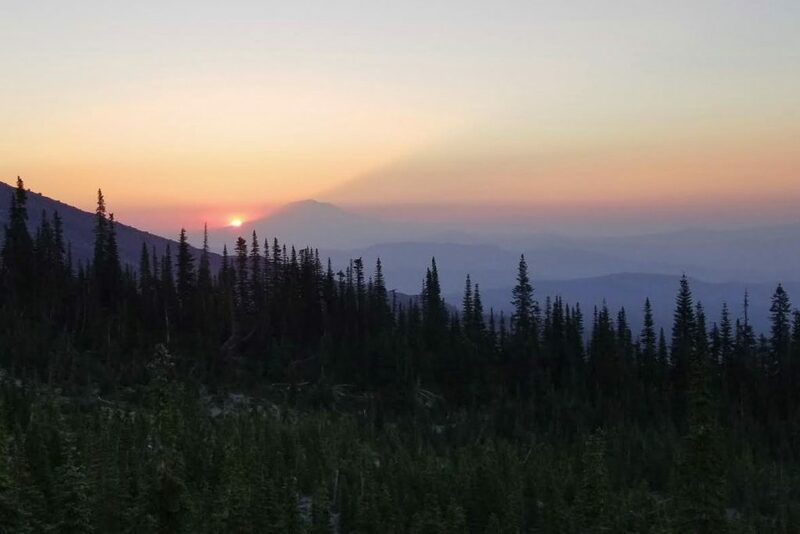 In this image, the sunrise over Mount Adams casts a shadow across the smoky sky. It seems the smoke has been a theme during outdoor activities this summer. Something else that has been a theme is the wonderful creation that still shows God’s love. We talk a lot about God’s love, and I think it is good to regularly ponder what love means and what it means that God is all about love. At some point rain will clean out all the smoke, and likewise Jesus will return and we will see clearly. Let’s put the knowledge we have now about God’s love to the best use possible.